There's no guarantee for what the future holds. However, by taking a closer look at current technology trends we can get a glimpse at what is to come in the eLearning Industry. Gamification, automation, and responsiveness are just some of the hot topics that we’ll all be talking about over the course of the next year, and beyond. Staying up to date can keep your eLearning course relevant and relatable for modern learners and improve your corporate online training strategy. 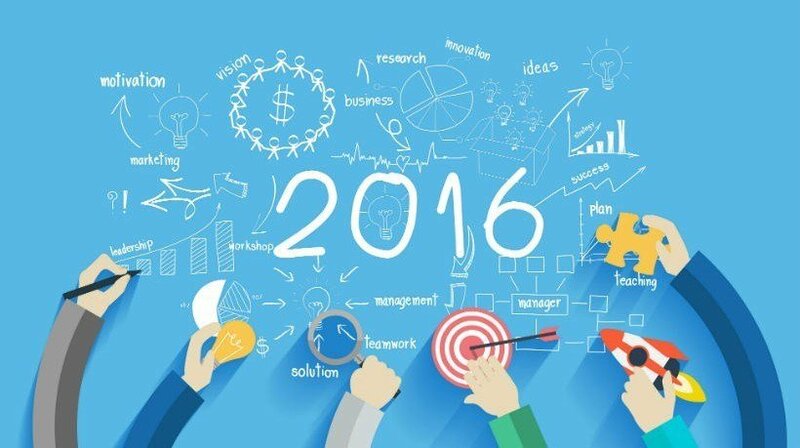 Here are the top 6 eLearning trends of 2016 that you may want to keep an eye out for in the near future. Gamification in learning has become increasingly popular in recent years. However, all signs point to the fact that it will become an integral part of online training in 2016. Organizations are starting to see the value of developing a successful gamification strategy, especially if reluctant or unmotivated corporate learners are involved. Serious games often involve badges, points, or leaderboards that provide that boost engagement and drive learners to do their best. They can also involve various levels that learners must complete, with each level focusing on a key lesson or topic. Even if you don’t have prior game design experience, you still have the opportunity to develop winning serious games, thanks to advanced authoring tools that include eLearning templates, themes, and asset libraries. Automation is a relatively new concept in the world of eLearning. Though many eLearning authoring tools have offered eLearning templates, themes, and other online assets for some time, this year it’s being taken to a new level. What does this mean for eLearning professionals? A drastic reduction in eLearning course cost and development time. A variety of tools are now integrating codes that automate the process. For example, you can now create eLearning assessment and games with minimal effort, or automatically detect learners’ preferences in order to customize every aspect of their eLearning experience. Google Glass, Oculus Rift, and the Apple Watch are just three of the wearable gadgets taking the world by storm. Wearable tech devices give learners the opportunity to interact with the subject matter in a more dynamic way. They also make eLearning more accessible and engaging for your audience, even those who don’t usually have the time to receive formal training. In the near future, learners may have the chance to walk in virtual training environments and immerse themselves in meaningful eLearning games. Augmented reality has the power to drastically change the eLearning industry and completely transform the nature of online training. There are even 3D simulation and scenario tools that can make the eLearning design process easier and more cost efficient. With the advancements in modern technology, it appears that Virtual Reality (VR) training may be just around the corner. Big data is a big deal, especially in the realm of eLearning in 2016. It gives developers the ability to improve the eLearning courses, custom tailor every eLearning activity, and gain valuable insights into learning behaviors and preferences. By using analytics tools, which are built into a variety of Learning Management Systems, you have the power to fine tune your eLearning strategy and ensure that every aspect of your eLearning course is in-line with your goals and objectives. There are plenty of other feedback tools you can utilize, such as surveys, focus groups, and eLearning assessments. However, big data analytics give you concrete stats and numbers that delve into every element of your eLearning experience. Before choosing your next Learning Management System, make certain that it offers the reporting features you need and focuses on key areas of your eLearning course design and audience research. Responsive design courses are accessible on all platforms and devices. In essence, the Learning Management System or authoring tool automatically adjust the eLearning course elements, from text blocks to images, based on screen size and resolution. This ensures that every member of your audience gets the same eLearning experience and benefits from your eLearning course. When you are looking for the ideal responsive Learning Management System opt for one that has a built-in previewer and customization tool. These features allow you to get a glimpse of your eLearning course on different mobile device screens, then manually adjust certain elements to improve the aesthetics and eLearning course navigation. Everything is better on the Cloud, which is probably why so many Learning Management System and authoring tools are now switching to cloud-based platforms. Cloud based corporate training has been steadily growing in popularity, but it’s expected to surge in 2016. This is primarily due to the fact that many organizations are beginning to see that the pros far outweigh the cons. Data security has been a major issue in the past. However, advanced encryption measures are improving the safety of sensitive data on the Cloud. Companies who take a cloud-based approach have the opportunity to reduce online training costs and make it more accessible for their employees. They can also scale their online training initiatives with ease and update the content in a matter of minutes to include new product specs and features. Also interested in learning which are the top mobile learning trends for 2016? Read the article 6 Mobile Learning Trends For 2016 to discover the top 6 mobile learning trends that are on the rise in 2016.